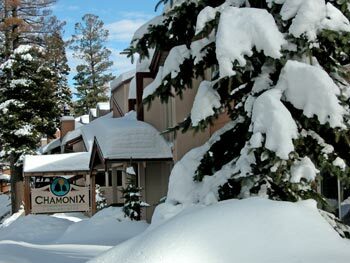 Listed below and updated daily from the MLS are condos for sale in Chamonix, a condo development located in Mammoth Lakes, CA. For additional information on any of these Chamonix condos for sale in Mammoth Lakes, click the "Request More Information" button when viewing the details of a property. We can provide you with disclosures, past sales history, dates and prices of condos recently sold nearby, and more. 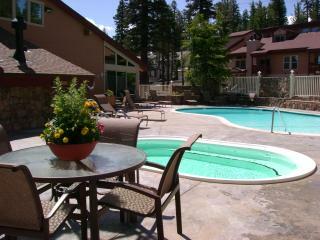 The Chamonix condo complex is located at 803 Canyon Blvd., Mammoth Lakes, CA 93546 in the base area of Canyon ski lodge. This full amenity complex includes swimming pool, spas, sauna, recreation room, on-site management, off-street parking, on the yellow and blue shuttle lines, and a business center with WIFI. The complex has a total of 100 units, built in 1971 and offers 4 different floor plans. The 1-bedroom, 1-bath has 680 square feet, 1 & loft, 2-bath has 981 square feet, 2 & loft, 3-bath has 1,300 square feet, and the 2 & loft, 3-bath townhome floor plan has approximately 1,330 square feet. The complex is very well-maintained and underwent massive renovations to the exterior of the complex in 2006. If there are active listings on the market at Chamonix Condos, they will automatically appear below. To request HOA dues information, recent closed sales at Chamonix condos, market statistics or to sign up for automatic listing notifications, please complete the contact form via the link at the bottom of this page or call us (760) 924-8521.